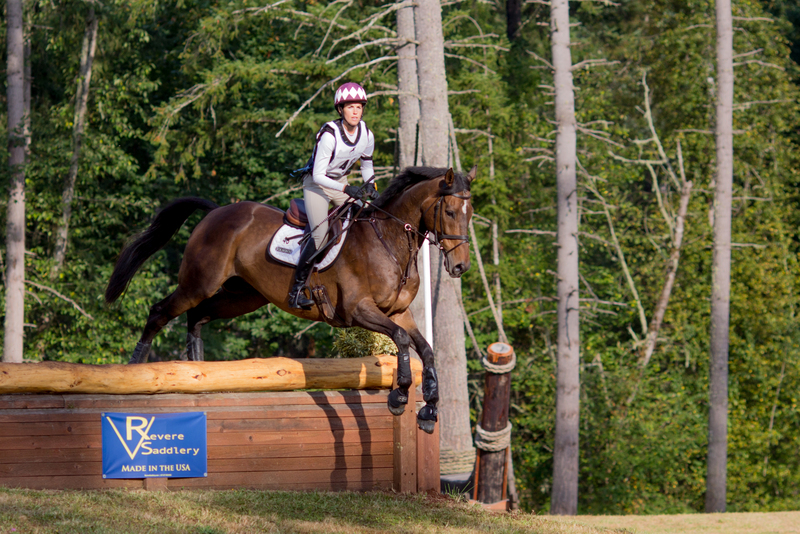 Now that our eventing season is taking a bit of a break, it seems like a good time to to update the blog! 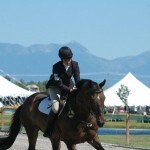 Our fall event season started with Aspen where we had 11 students and 2 horses on the line up. It was crazy to say the least, but we were thrilled with the results. Many of our students competed at new levels for them and their horses and met the challenge like pros. Lauren Plog completed her and Cash’s first Preliminary, ending in 5th place. 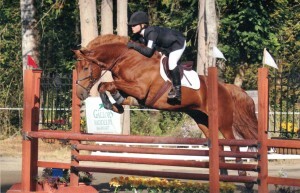 Lilli Thiel (shown in picture) finished 2nd in her first training, and Hannah McNamara finished 5th on Dublin in their first Training. Both Joely Hannah and Hannah on Poppy finished the weekend thrilled with their progress and new accomplishments on their horses. In the Novice division, Monica Garner completed her first event on her new mare Dolly, Natalie finished her first Novice on Pantalaimon, ending the weekend in 3rd, Sarah Pazkill finished her first Novice on Token with a 4th place finish, Bianca Linder and Dante finished 4th in their very first event together, and Braiden and Chance had a wonderful weekend showing huge improvements in their show jumping. Finally, Jessica Goodrich finished her first recognized horse show in 2nd place at the Beginner Novice level! Both Maris and I were very pleased with our horses after the event. 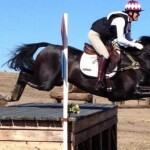 Helium Risin’ ended in 8th after a super dressage test and XC ride but a less than stellar show jumping round. Despite a few rails, we ended up winning the Chronicle of the Horse Team Challenge with fellow riders Sam Bergin, Allison Sparks, and Mary Burke. Young Gun had a great first run after his summer break and got the rust off for his trip down to California. After Aspen, I got the itch to do one more event before our season ended. The McNamara family agreed that they weren’t done either so we decided to meet up with Maris and Lauren at Woodside. It was a fabulous week for all of us that competed down there…. perfect weather, yummy food, a beautiful facility, and great company. 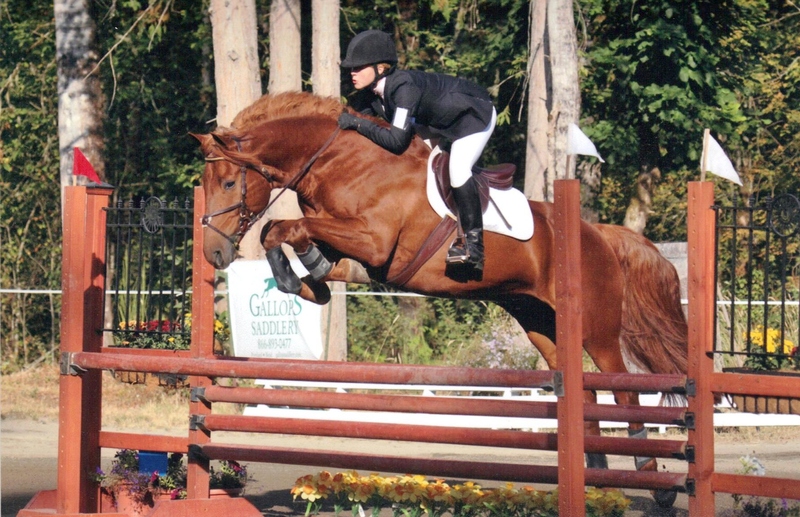 Lauren Plog had a great weekend on Money Talks, making huge improvements in both her dressage and jumping. 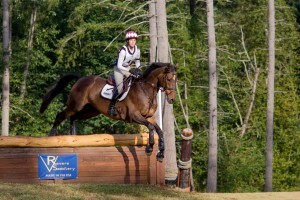 Lauren was especially excited about her XC go. Cash was bold and forward, making it look easy for the both of them. Hannah McNamara ended 5th on PL’s Lucky Regina in the training, which was a huge accomplishment for her. Poppy is still pretty green at this level and the training course had plenty of challenging questions on it. 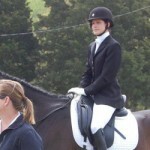 Hannah also rode Loughnatousa Dublin, who gave her a workmanlike dressage test and spot on SJ round. He was a bit green into the first water on XC and while he gave it a good effort to jump in from a standstill, Hannah popped off. It was an unfortunate fall as they were super until that point, but mistakes happen and its all part of the game! I was beyond thrilled with Jo throughout the entire weekend. We finished 2nd on the flat with a 25.2, just .4 behind the fabulous Hawley Bennett-Awad on Five O’Clock Somewhere in the Open Preliminary. 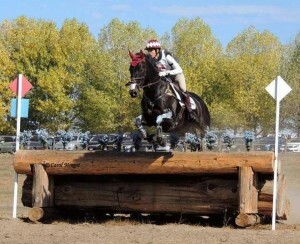 He followed that up with a double clear XC. For the handful of times we get to do it each year, I am consistently reminded how much he loves that part of the job. Day 3 can often be a challenge to keep the rails up but Jo felt fabulous. 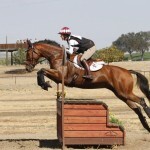 He was bold yet careful and I was very pleased with our double clear round. It was a wonderful way for us to end the season and I’m already contemplating how to get south next spring. I’ll let Maris follow this up with her account of the trip south and her Advanced debut!